Jae's Jewelers was founded in Miami in 1945 by watchmaker George Hornik. The Brooklyn native, who moved to Miami in 1938, served in the Navy during World War II. After his discharge, George moved to Colorado, where he studied the craft of watchmaking and discovered his passion. Mr. Hornik started the business repairing watches for $1 and considered it a bonus if he could also sell a 25 cent leather band to go along with it. In 1956, Hornik and his wife & business partner of 60 years, Helena, moved the business to its Coral Gables home at 237 Miracle Mile. All up and down The Mile, the Horniks were known as “Mr. and Mrs. Jae.” They were very active in the Coral Gables community, and we have continued their interactive traditions to this day. Their son, Bruce, joined the business in 1972 and is the store’s current owner. He is a GIA-educated Graduate Gemologist and one of the most knowledgeable jewelers in the city. Bruce is extremely dedicated to his customers and is proud to call many of them friends, as well. He is known to many as “Jae.” Bruce’s passion and excitement for his job is contagious; he truly loves what he does. It is Bruce who is responsible for transitioning the store from simple watch repair to the full-service fine jewelry establishment that it is today. We are proud to say that our little family business has now entered into its third generation! Both of Bruce’s daughters, Jennifer & Jillian, went on to receive their Graduate Gemologist degrees at the Gemological Institute of America in Southern California. Jennie married another Graduate Gemologist, who also has a long-time family business; they settled in Bozeman, Montana where our sister jewelry store is located. Jillian stayed in California for 6 years, working for one of the largest independent jewelry stores in the country; she is now back at JAE’S, serving as our sales manager. 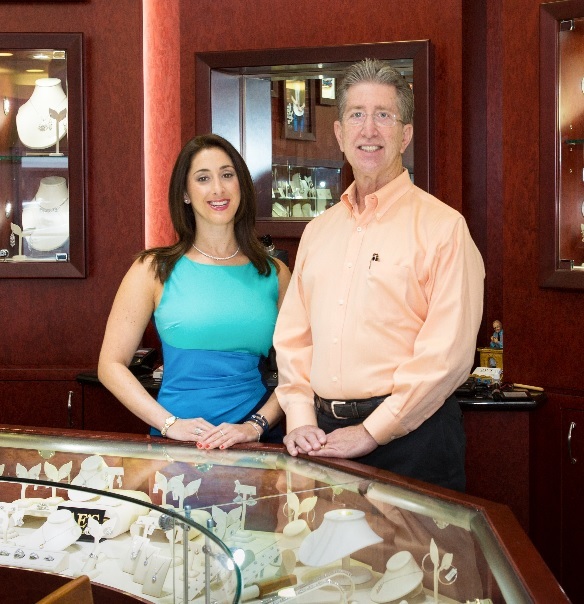 In December 2014, Jae's Jewelers was recognized as the Coral Gables Chamber of Commerce's Retailer of the Year. The celebration continues throughout 2018, into our 73rd year of business. We are fortunate to make a living doing something that is very much our passion and realize that family businesses like ours are few and far between. We look forward to many more years serving the South Florida community.